Poaching has become such a menace that Ramesh recently took up the matter with the Chinese authorities, impressing on them the need to come down heavily on the smuggling of tiger parts into China. 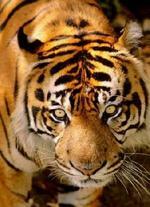 Kill Poachers and save our Tigers ! Some very important facts pointed out in this article. Thank you!